NIGEL Wright is hoping to win a British title in honour of well-known Hartlepool boxing promoter Gus Robinson, who died last month. Wright, who was born in Crook but has spent most of his career training in Hartlepool, takes on reigning British light-welterweight champion Ashley Theophane at Newton Aycliffe Leisure Centre on Saturday night. The 32-year-old has already had two unsuccessful tilts at the British title, losing on points to both Lenny Daws and Ajose Olusegun. He is hoping to make it third time lucky this weekend, and will be fighting in honour of Robinson, who helped him in his early days as a professional. “I will be going into this fight as the underdog, but I will take Theophane to places he has never been before,” said Wright, who has won 24 of his 31 fights in the paid ranks. Theophane claimed the British title from Daws in February, and has already made a successful defence by knocking out Nicky Cook. The Londoner has been based in New York for the last nine years, and has done most of his preparation for this weekend’s fight in the United States. “I love going into the lions’ den and I’m sure Nigel will be in great shape,” he said. “But there can be only one outcome and I will silence the fans from the North-East on Saturday. The main support on Saturday will be a hotly-anticipated rematch between Chris Edwards and Shinny Bayaar for the British flyweight title. The pair fought in 2009, with Bayaar winning a disputed points verdict, but Edwards has subsequently claimed the British title. 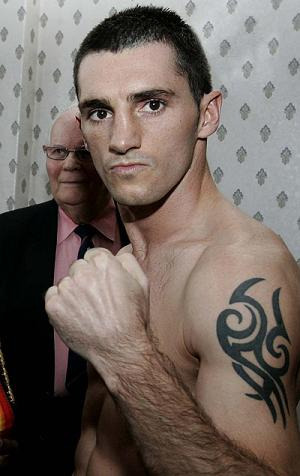 Highly-rated cruiserweight Danny Price will also fight on the undercard. Doors open at 5.45pm and tickets are still available from www.frankmaloney.com.